There have been a few true great men and women of the modern age that have inspired me personally; Gandhi for me is one of them. When we were in Delhi we had the privilege to visit his last home he had that was also the location of his eventual assassination. (For those of you who do not know who this man is I suggest this is one person you read up on). The home has been converted into a memorial and museum to the life and times of Mohandas K. Gandhi and also offers an Indian viewpoint of the fall of the Indian Empires and the rise of colonialism, the Period of the British Raj and then the rise of the Independence movement that Gandhi was such an integral part of. Being educated as a British Historian it is always interesting to view historical events from the other side of the fence and it was interesting to read about the Indian take on events, especially in such a place as this. The gardens have been beautifully maintained and you follow a path that has footsteps next to it marking the last walk of Gandhi. We follow a path with inset foot prints which lead you to the place where he was shot on his way to his daily prayers. It is a humble memorial, but one that reflects the man and his method’s, I felt truly honored to be here. There is a strong sense of love, pride and unity here at this memorial, Gandhi stands for a United and Free India and people love him, his India may not have been realized but he still stands as a beacon for Indians and you get a sense of that here. Whilst reading about the man, his life and his passing you start to realize the impact it had on the country, it was an assassination comparable to that of JFK and a sudden loss of life and shock factor and its sudden aftermath of emotion that Princess Diana’s death bought across the world. 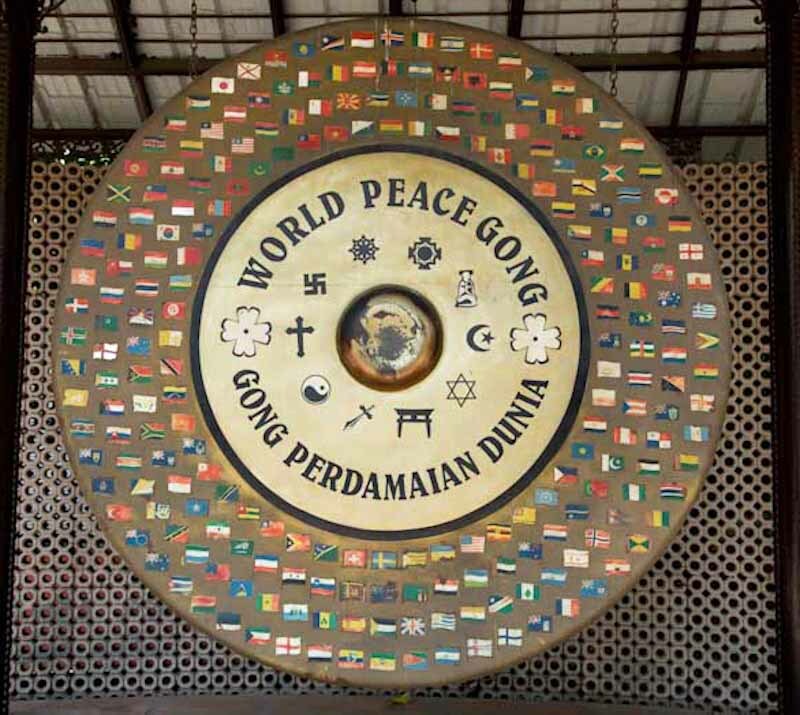 Its great being here but also sad, I can remember my Mother always saying its always the good ones that go, and its true some of the best, brightest and positive leaders and icons in the world have been assassinated yet we are left with the bad ones, no actually evil ones! I cast my mind to that of recent viral efforts to find Kony, he’s still out there, and what about Assad in Syria, no one wants to touch it! One thinks to how the world could have been positively changed for the better if these great men had been allowed to live their full lives!? We will never know! Inside the house for the most part the rooms are converted to a museum, but there are three rooms downstairs that remain as they were when Gandhi was living there, they were a reflection of his immaterial life, very simple and humble. In some respects the simplicity of the rooms reminds me more of prisons cells as opposed to the living quarters of free man. The rooms house all of his worldly belongings which number to no more than about 15 items including basic things such as cutlery, a watch, walking stick etc. 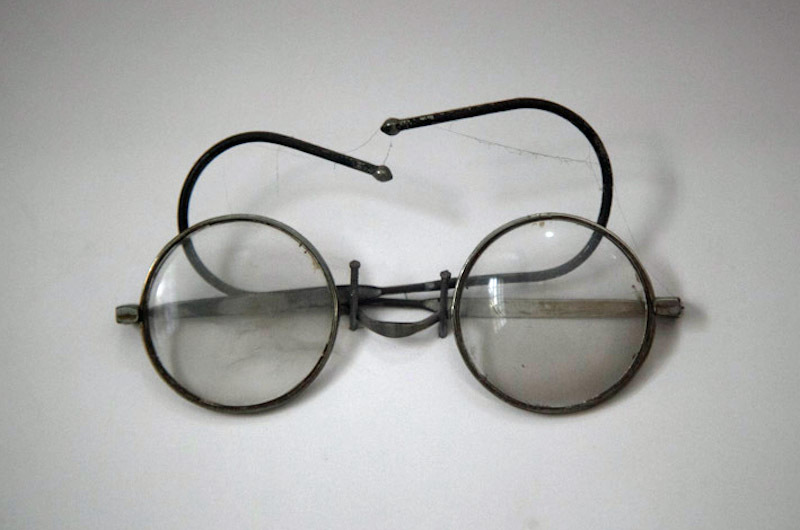 But it also includes his glasses, for me part of the iconic image the world has of Gandhi, most people reading this will probably associate and think it was John Lennon who iconised this glasses….think again. This is the impact of the man and this place it makes you think and hope for the world, It was one of the most positive memorials of a life cut short that I have been to and it was truly an honour. Gandhi still stands for non-violent civil protest for a positive future and the memorial conveys this with power and dignity.